Weather summary for this date: no rain; sunshine hours 11.7; temperature maximum 7.5°C and minimum 2.4°C; and wind light. I returned to Sable Island on April 6th to begin my spring-summer three-month tour with the Meteorological Service of Canada, and began to collect some photoblog images for the Sable Island Institute. 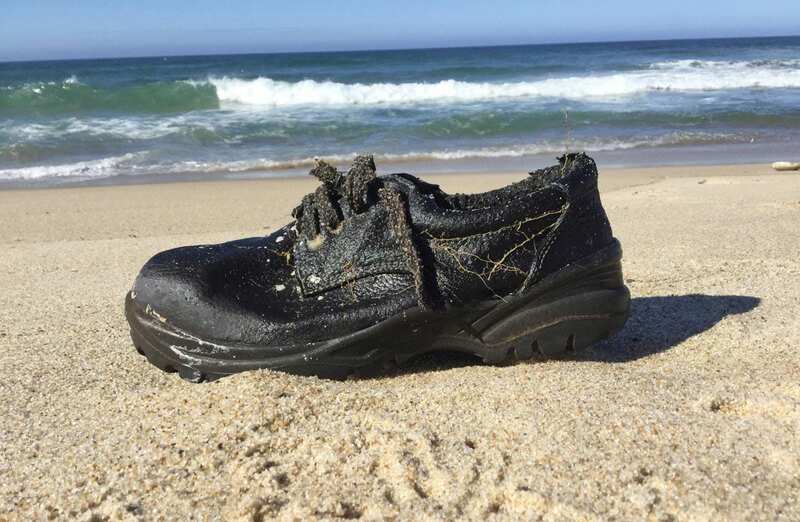 I came across this single shoe washed ashore on the north beach and saw gull tracks indicating that a gull had also noticed the shoe and had briefly investigated it, perhaps anticipating some snack material. Shoes, boots, sandals, flip-flops and slippers are common litter items cast ashore on the beach. On the way back to the station, I walked inland through the “West Ponds” area. Most of the freshwater ponds are now gone. 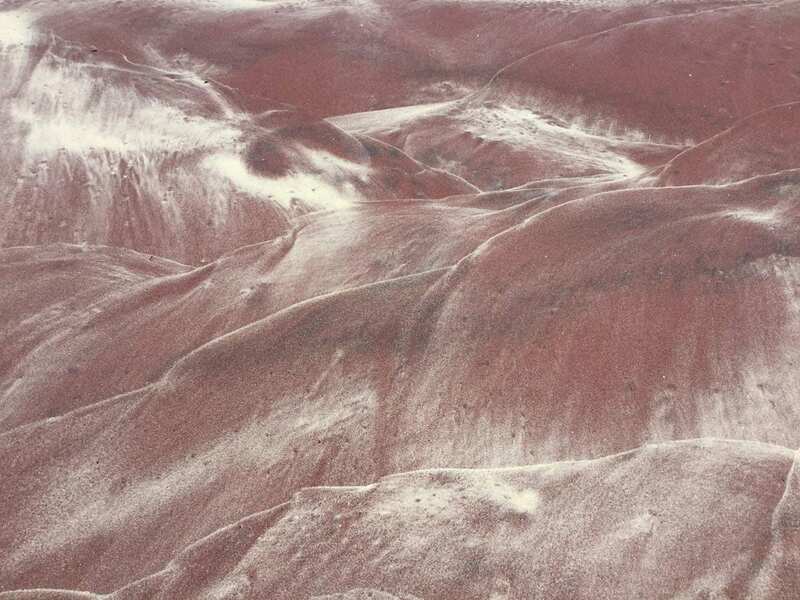 In their place are a broad sandflat and some saltwater pools. 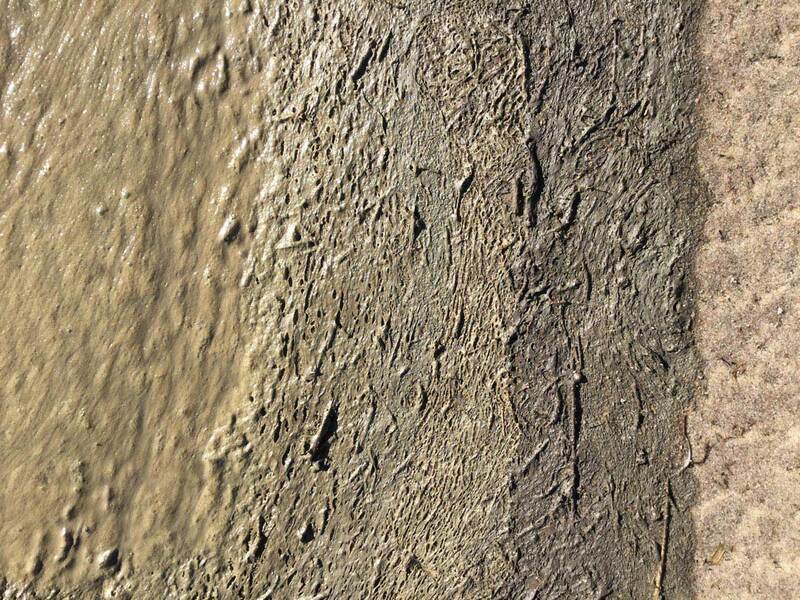 At one pool, mucky wind-blown sea scum had collected along the northern edge. It looked very much like chocolate mousse. Zoe thought it looked like salted-caramel mousse. 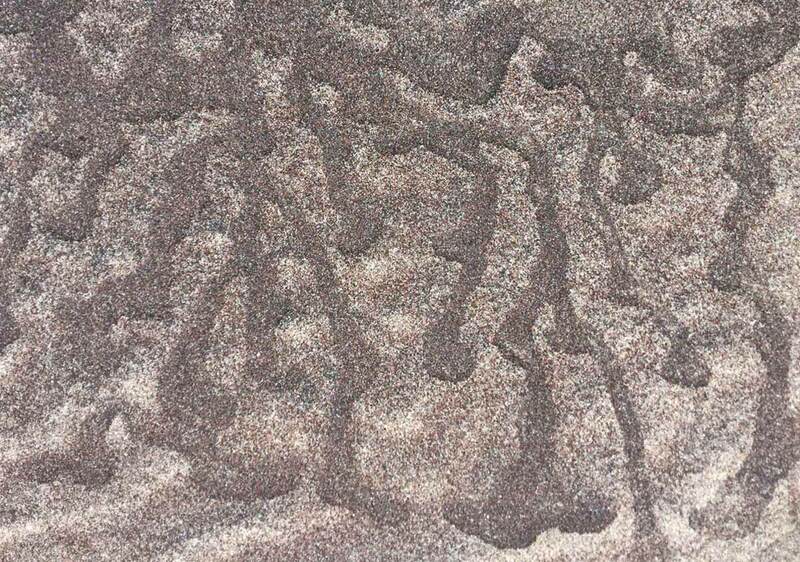 Along the north beach, where waves washed up, the water running back down the slope to the sea left an intricate pattern of fine runnels. 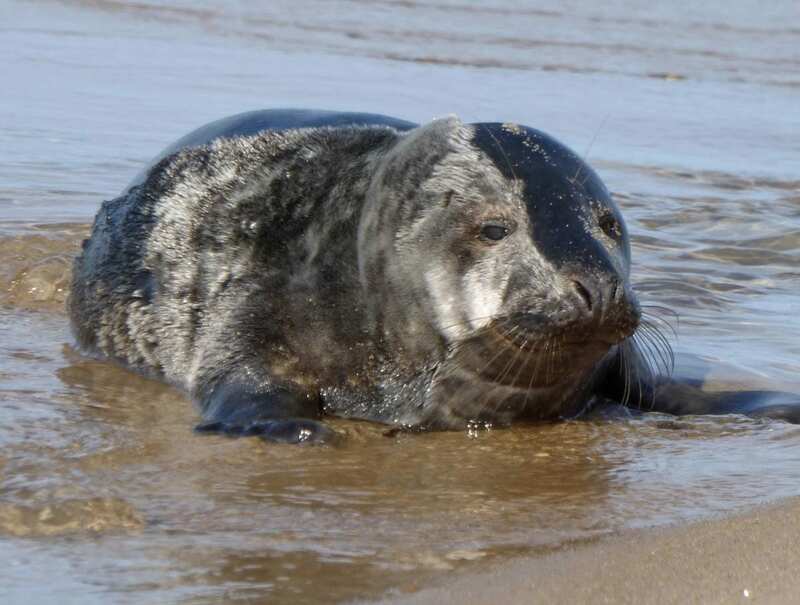 A young Grey Seal (four to five months old, born during the December-January pupping season) was lying on its side and sleeping in the shallow swash of water at the edge of the beach. 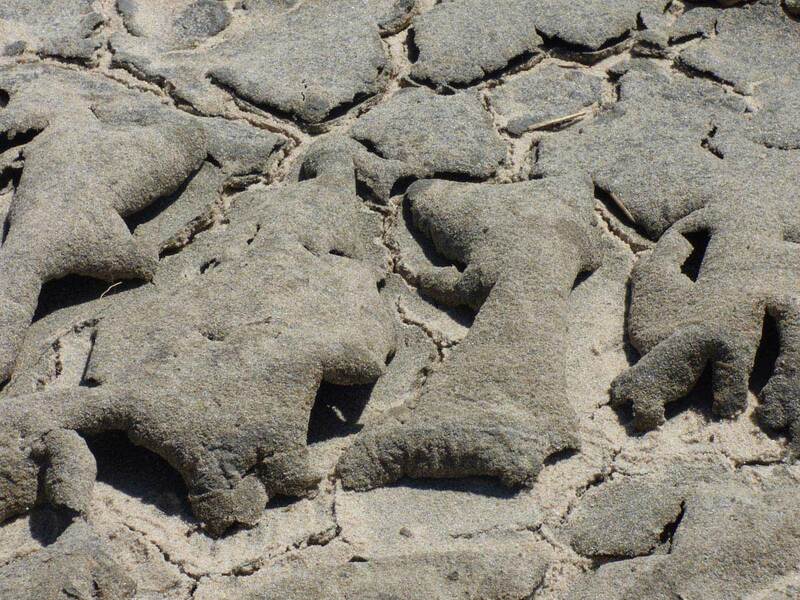 When the seal woke up, its right side was dry, and its left side was wet. Weather summary for this date: no rain; sunshine hours 12.9; temperature maximum 8.3°C and minimum 0.2°C; and wind light. 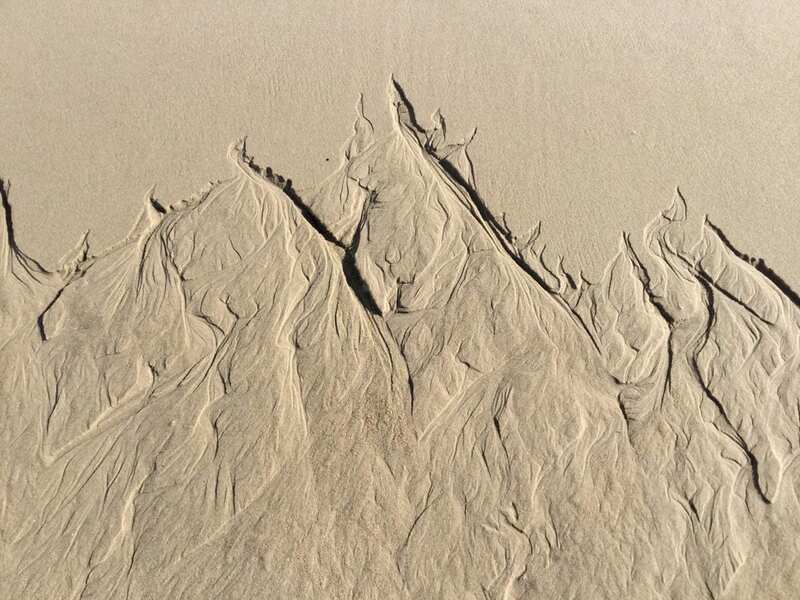 Sandy formations—drying crusts of sand—in a blowout along the north beach. Weather summary for this date: no rain; fog; sunshine hours 6.6; temperature maximum 9.9°C and minimum 4.7°C; with a peak wind of 20 knots southeasterly (ESE 120°). More seawater runoff patterns on the north beach. Weather summary for this date: rain 9.2 mm; fog; sunshine hours 0.0; temperature maximum 10.4°C and minimum 8.6°C; with a peak wind of 27 knots southeasterly (SE 140°). 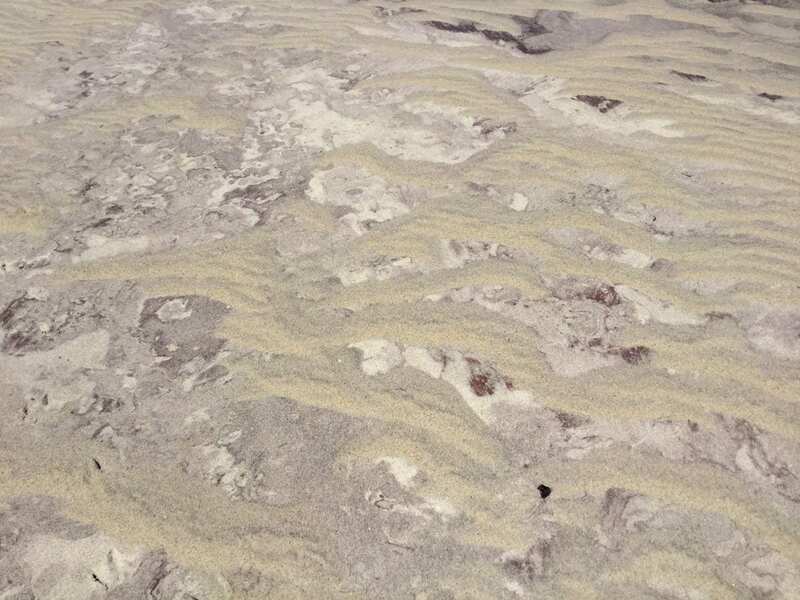 Today the wind was creating sand patterns on the north beach—sand grains rolling and bouncing along with the heavier/larger grains forming ripples. Weather summary for this date: no rain; sunshine hours 12.7; temperature maximum 9.0°C and minimum 2.2°C; with a peak wind of 17 knots northeasterly. 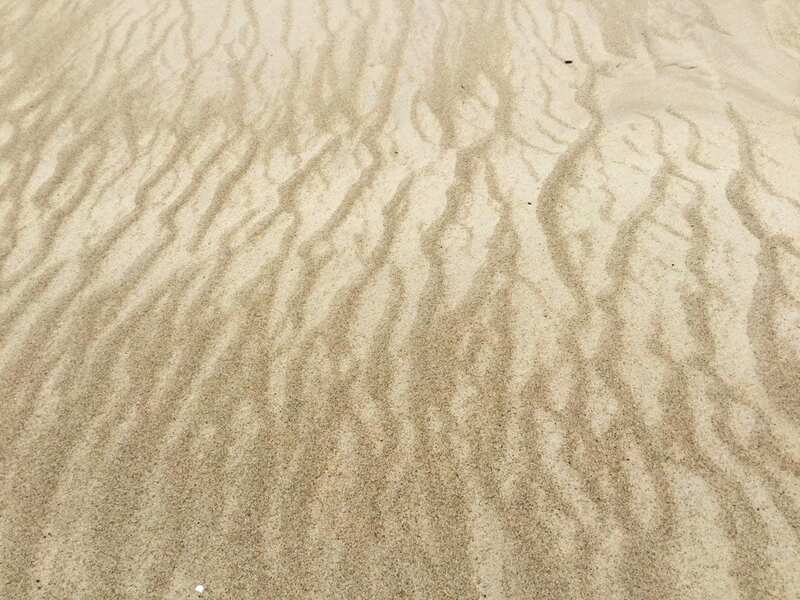 The four photos above show patterns of light and dark sand on the south beach—grains of different weights and sizes sorted by high wind and water. 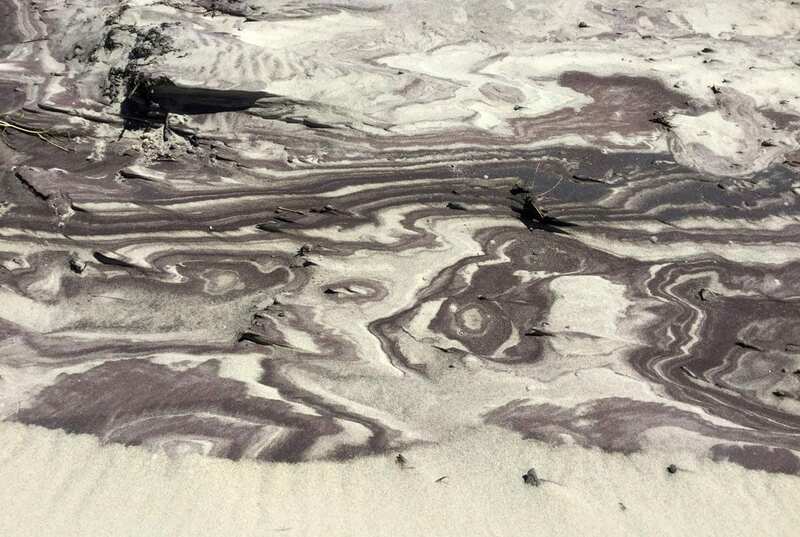 The darker swirls, patches and bands are heavy mineral sands—including garnet, magnetite and zirconium. 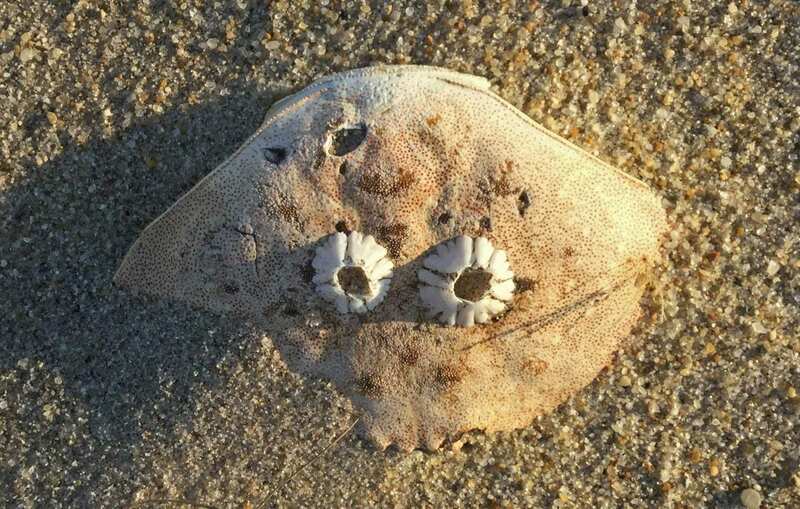 A sand dollar (upper and under sides), and a polychaete (also called a “bristle worm”), washed up along the north shoreline. 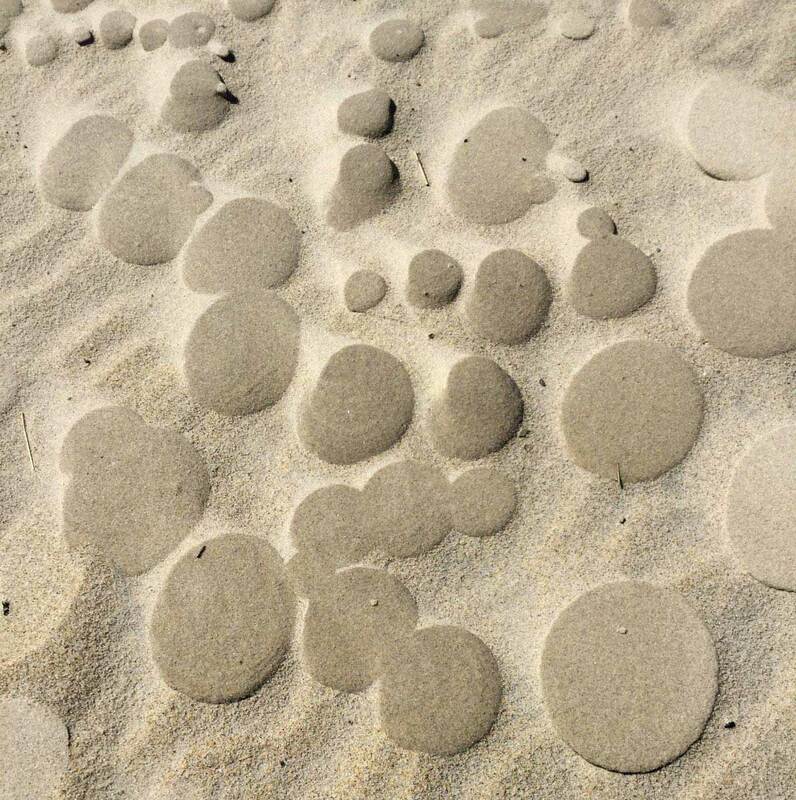 Sand dollars are not common on Sable Island’s beach. Weather summary for this date: rain 0.0; sunshine hours 10.6; temperature maximum 12.1°C and minimum 1.7°C; with a peak wind of 24 knots northwesterly (NNW 330°). 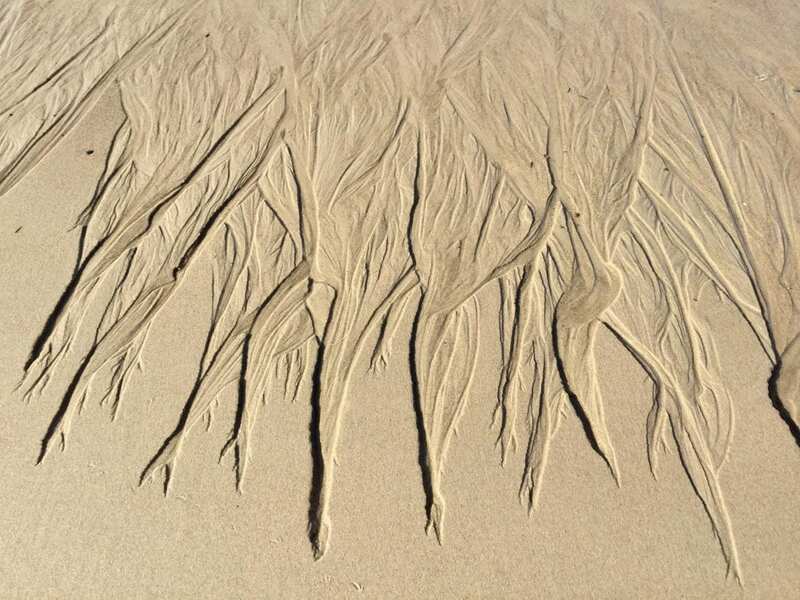 The breeze was scouring patterns across the surface of a bare sandy area in a blowout along north beach. Weather summary for this date: rain 0.8 mm; sunshine hours 0.2; temperature max 10.7°C and min 4.8°C; with a peak wind of 28 knots southerly (S 180°). 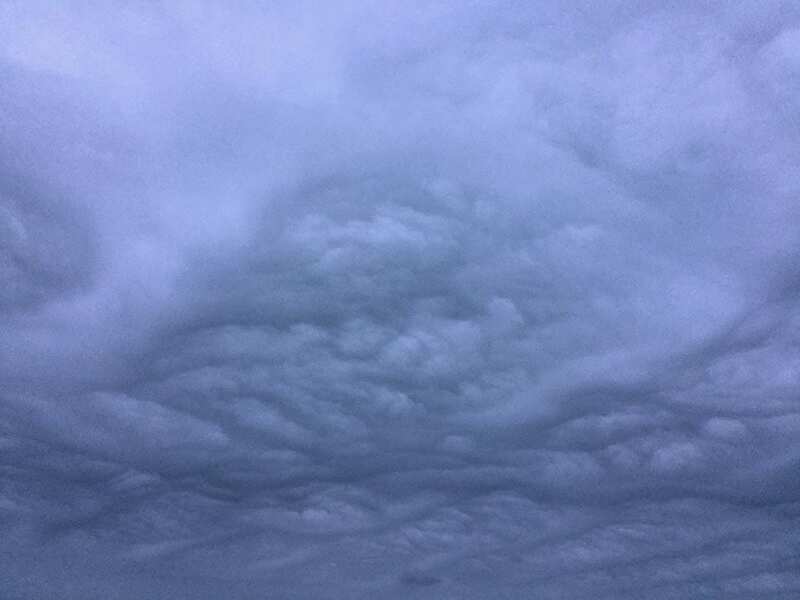 During the evening the sky was heavily overcast—altocumulus. Weather summary for this date: rain 0.2 mm; fog; sunshine hours 0.0; temperature max 10.3°C and min 5.1°C; with a peak wind of 26 knots northeasterly (NNE 030°). 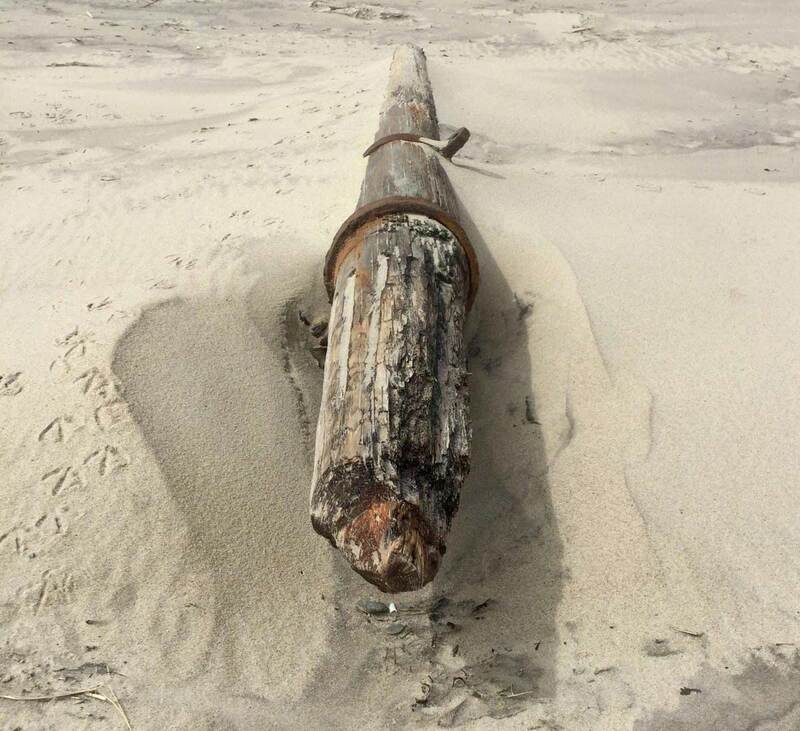 Remnant of a shipwreck, a fragment of mast—about 3 m long—on the north beach west of the Sable Island Station. Weather summary for this date: rain 7.0 mm; fog; sunshine hours 3.0; temperature maximum 12.7°C and minimum 7.2°C; with a wind peaking at 24 knots southeasterly (SE 130°). 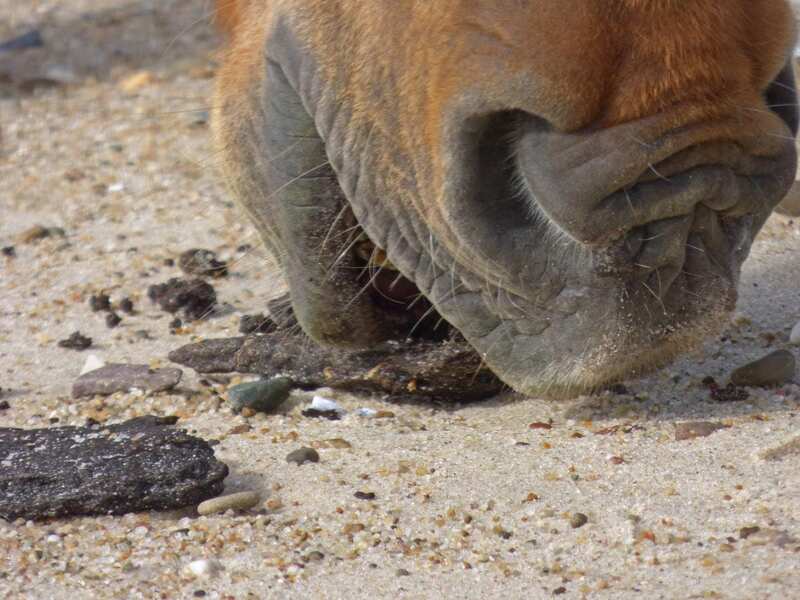 During early evening (10.1°C, and the wind relatively light at 8 knots westerly), a Sable Island horse nibbles small chunks of peat washed up on the north beach. Weather summary for this date: trace of rain (0.2 mm); fog; sunshine hours 0.7; temperature maximum 11.9°C and minimum 7.6°C; with very light breeze (no peak winds). 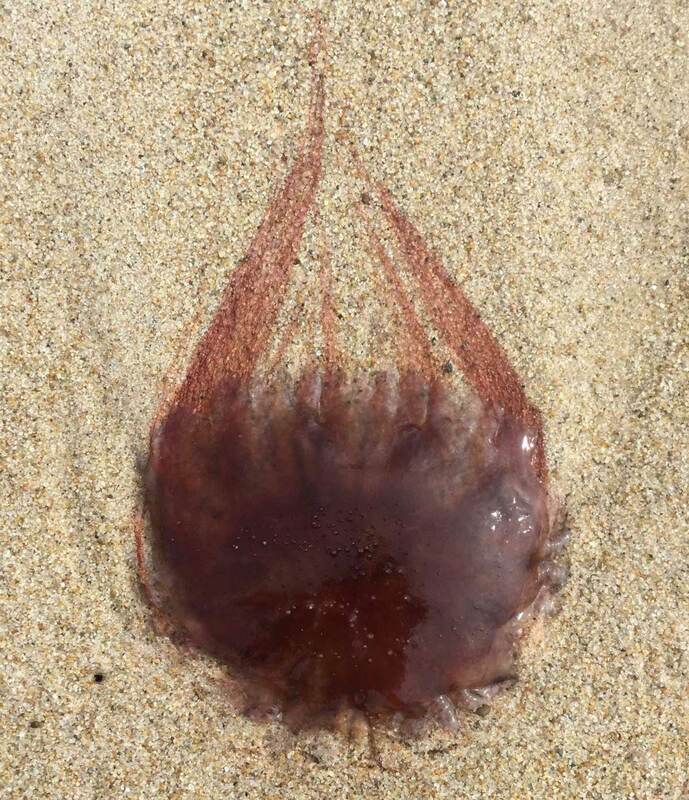 A small Lion’s Mane Jellyfish (diameter about 20 cm) washed ashore on north beach. A moon snail shell (with a small clam shell nearby). 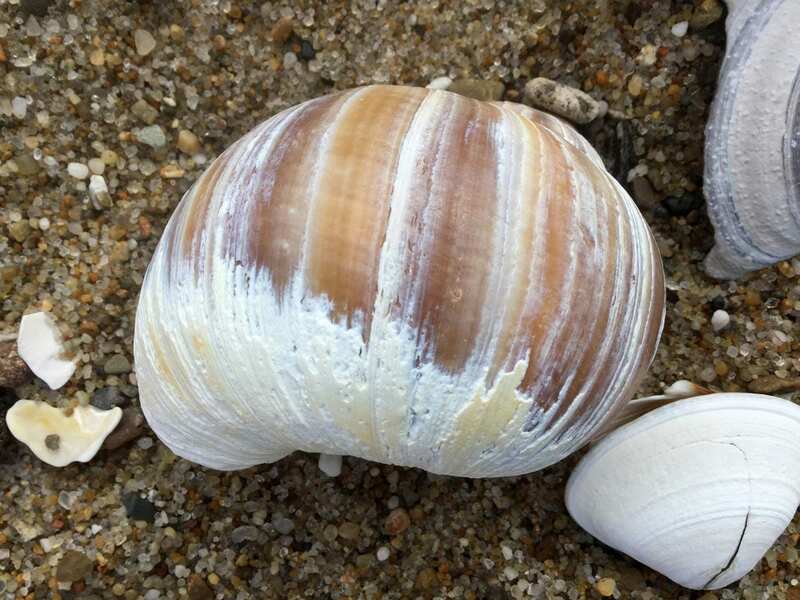 Moon shells are common on Sable Island’s shoreline—various sizes, some as large as 10 cm. Weather summary for this date: no rain; sunshine hours 12.6; temperature maximum 16.3°C and minimum 9.6°C; wind westerly (WSW 250°) peaking at 25 knots. Carapace of a rock crab, with barnacles. Weather for this date: no rain; fog; sunshine hours 7.8; temperature maximum 12.9°C and minimum 10.3°C; and wind peaking at 18 knots southwesterly (SSW 210°). 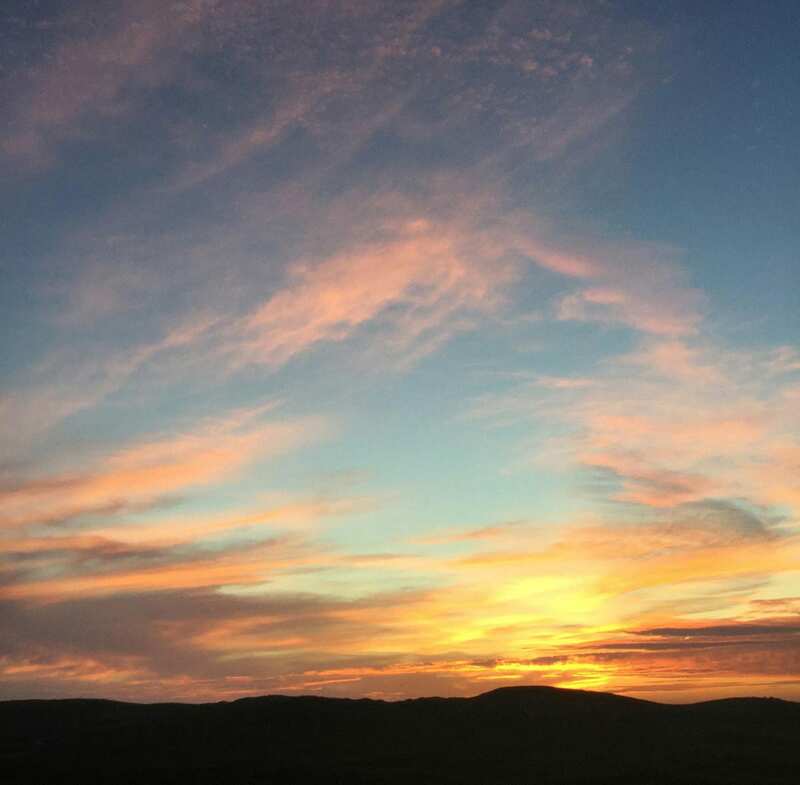 Sunset sky, with cloud—mostly cirrus. Weather for this date: no rain; sunshine hours 11.9; temperature 15.3°C maximum and minimum 10.3°C; wind light (no peak wind). 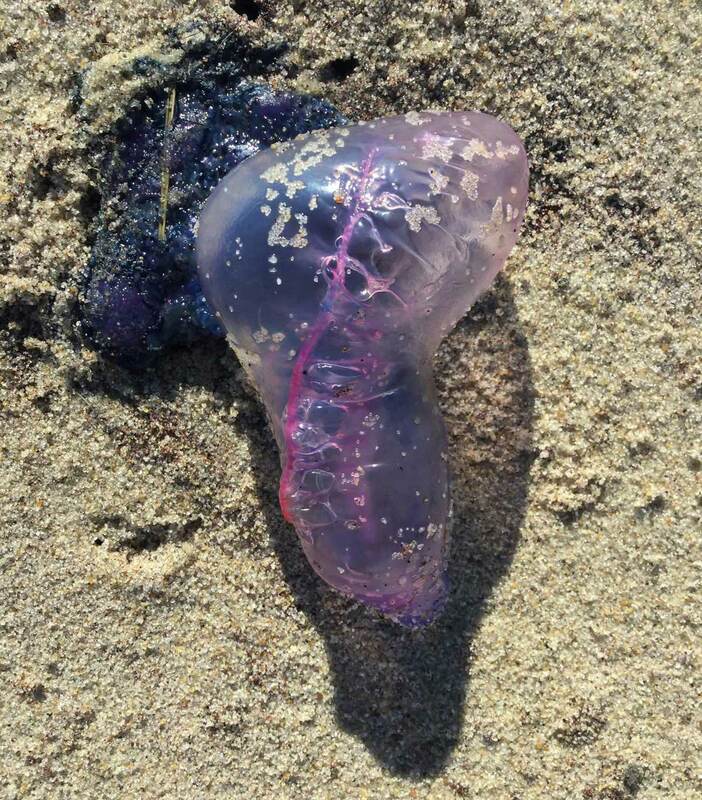 A Portuguese Man-of-war, washed up on the south beach but still showing some signs of life. 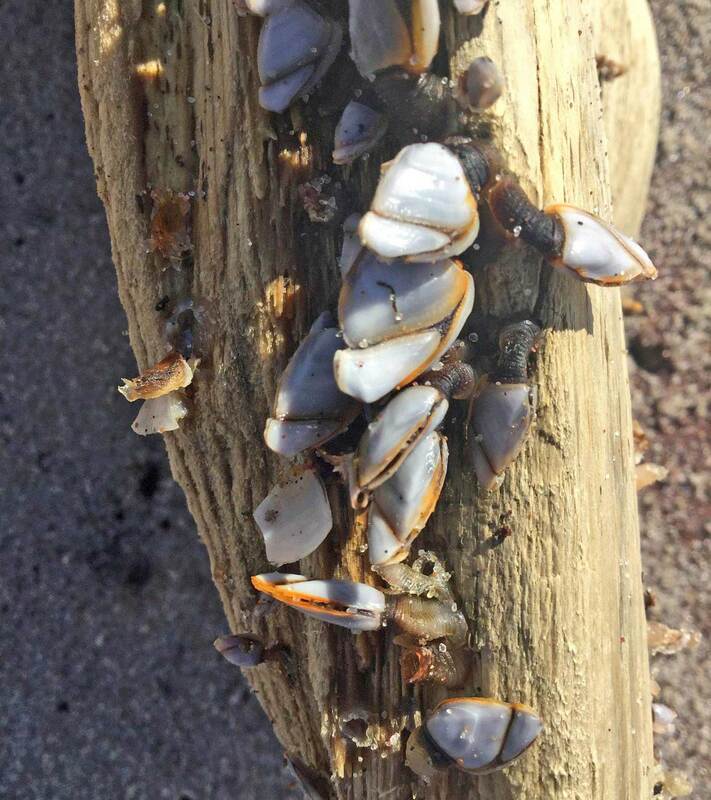 Pelagic gooseneck barnacles attached to a piece of driftwood on south beach. Lower mandible of a Sperm Whale (showing the large tooth sockets) on the broad south beach area west of West Light. 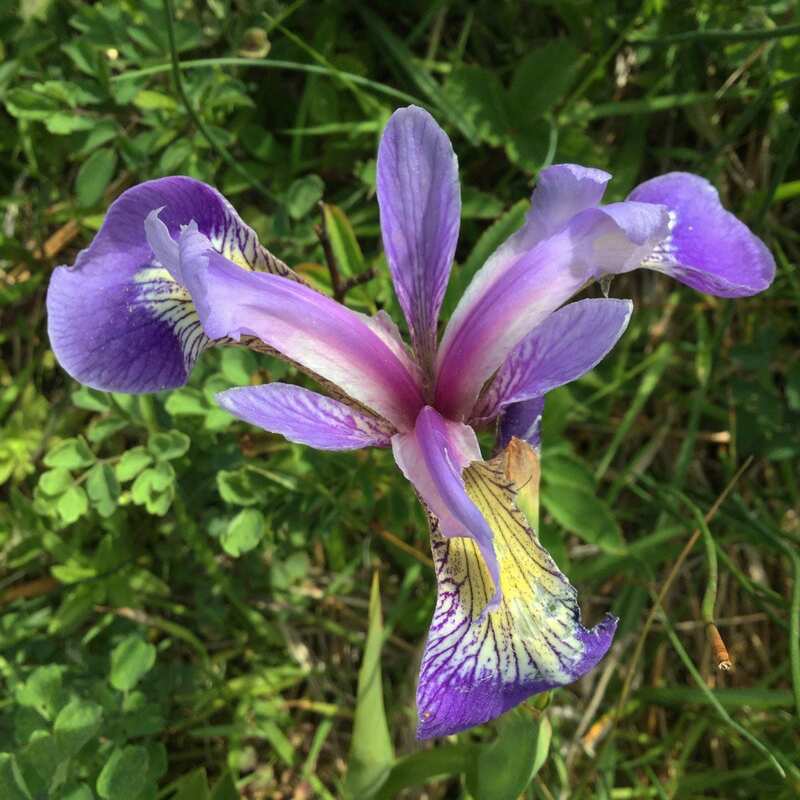 Blue-flag Iris, common near some of the freshwater ponds on Sable Island. Weather summary for this date: no rain; sunshine hours 9.5, temperature maximum 16.7°C and minimum 7.1°C, with no peak winds. 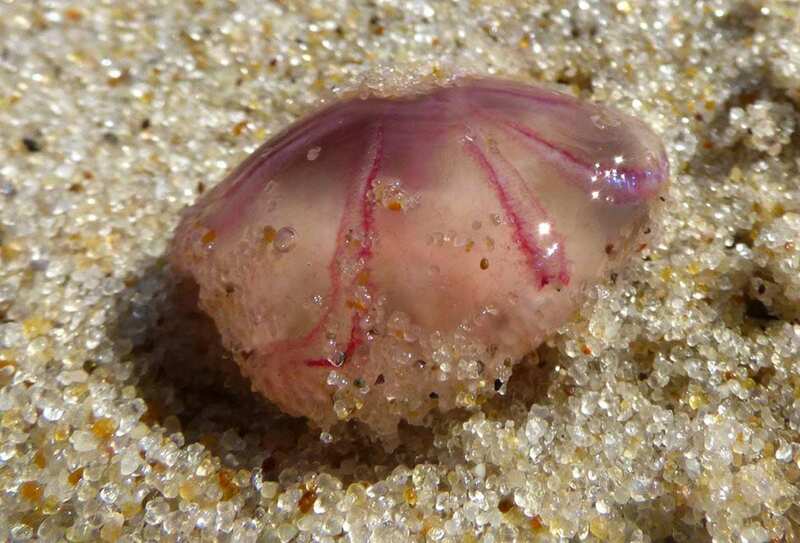 A very small jelly, <5 cm diameter, perhaps a fragment, freshly ashore on the north beach. 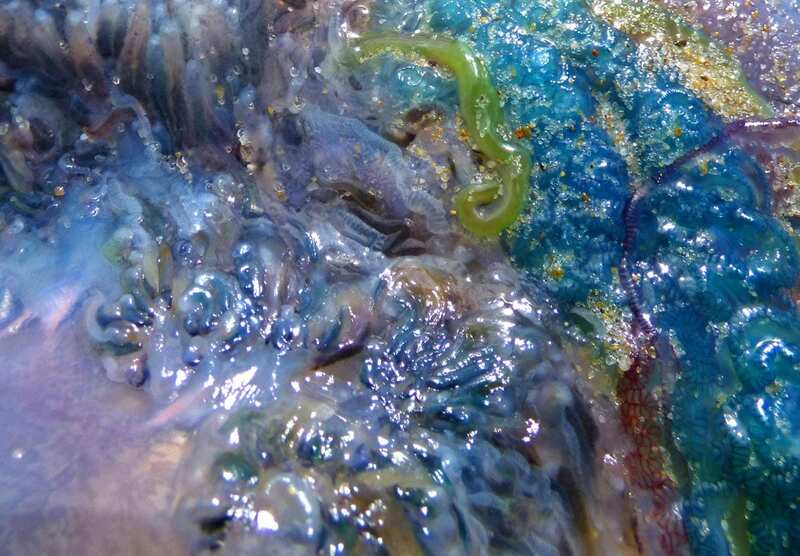 A tangled mass of tissue and tentacles of a beached Portuguese Man-of-war. Weather summary for this date: rain 2.8 mm; sunshine hours 8.1; temperature maximum 20.5°C and minimum 13.0°C; with wind peaking at 36 knots southeasterly (SE 130°). 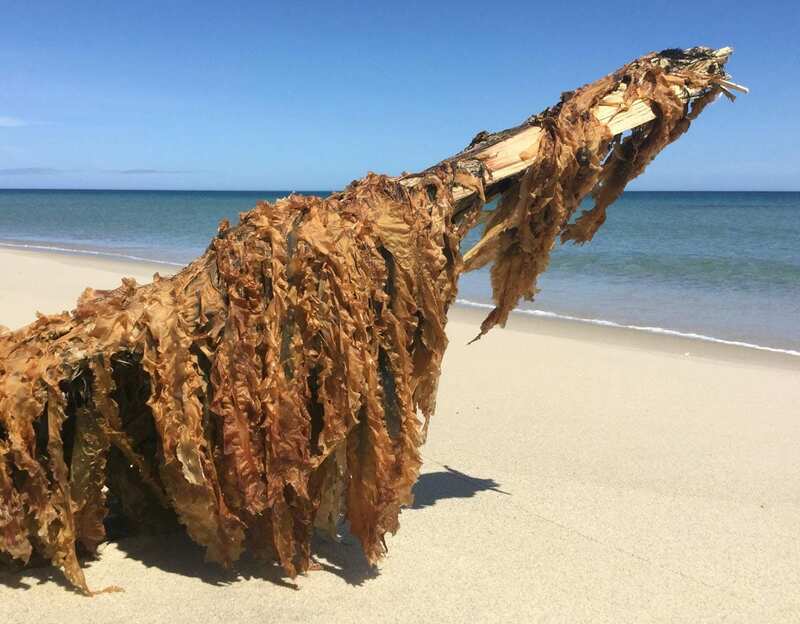 Fronds of kelp attached to a large piece of driftwood cast ashore on the north beach near West Light. Weather summary for this date: rain 0.2 mm (with some thunder); fog; sunshine hours 1.1; temperature maximum 18.5°C and minimum 13.7°C; with wind peaking at 25 knots southwesterly (SW 230°). 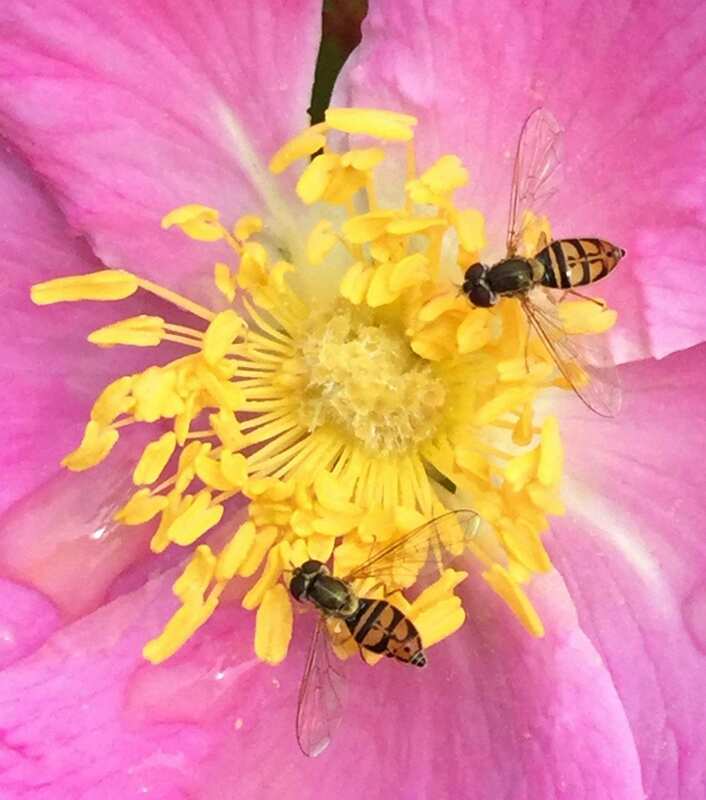 Hoverflies foraging on a rose. Wild rose is common in most vegetation communities on Sable Island. Weather summary for this date: no rain; fog; sunshine hours 1.4; temperature maximum 19.5°C and minimum 13.9°C; and wind peaking at 21 knots southwesterly (SSW 200°). In early July, the Adventure Canada expedition vessel Ocean Endeavour anchored off the north side of the island for three days. On their first day, the <100 visitors hiked up to the top of Bald Dune. 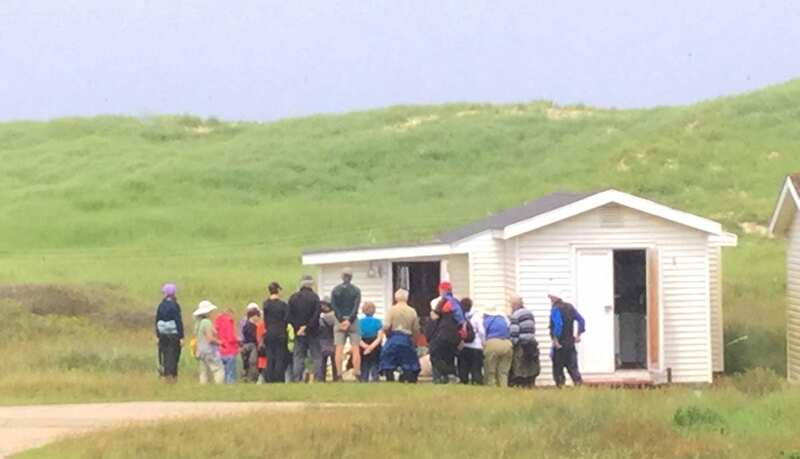 Following the Bald Dune experience, the Adventure Canada travellers had several tour options, and some chose to see the Sable Island Station. They arrived in groups of about 20 people. Parks Canada personnel provided a general description of the station and operation, and Zoe Lucas reviewed of the some of the biodiversity studies conducted on the island, and also gave the visitors a briefing on the history and programs of the Meteorological Service of Canada on Sable Island. 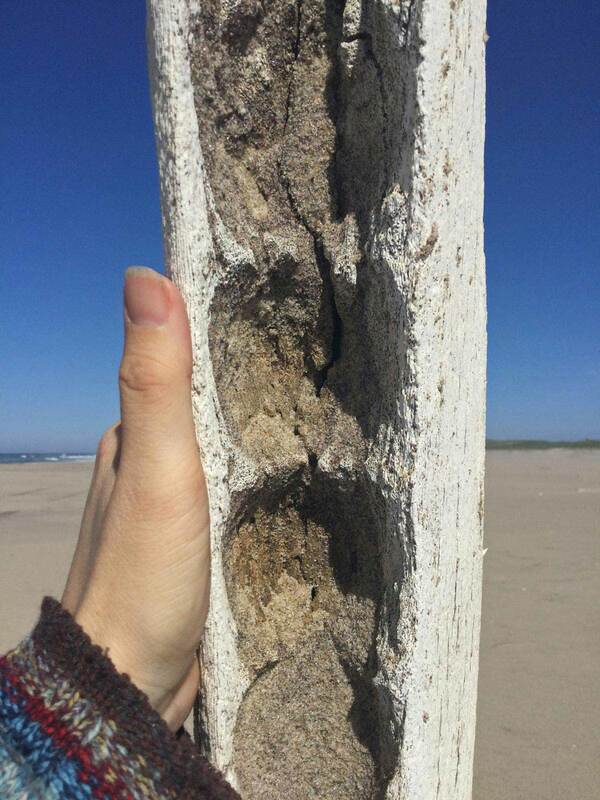 about bee and horse studies on Sable Island. Weather summary for this date: no rain; sunshine hours 14.4; temperature maximum 19.0°C and minimum 13.6°C; wind light (no peaks). 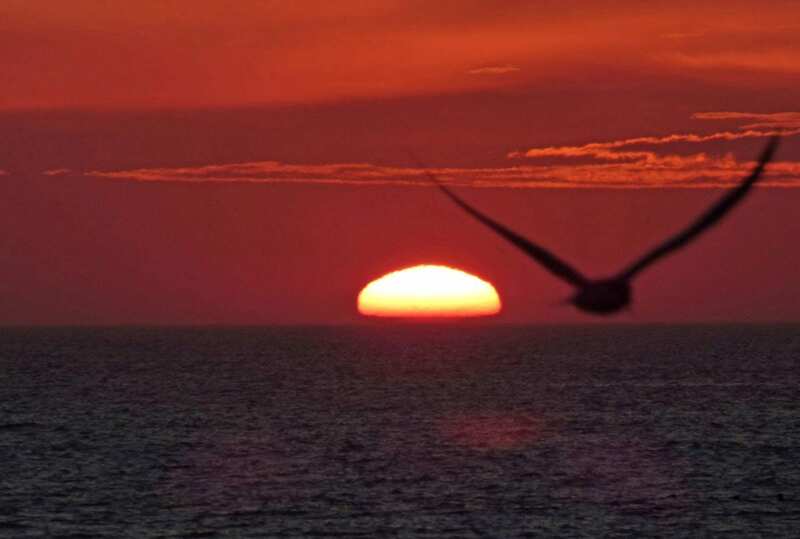 A sunset shared with a gull, and viewed from the north beach. Weather summary for this date: no rain; fog; sunshine hours 0.2; temperature maximum 18.1°C and minimum 13.9°C; wind peaking at 20 knots southwesterly (SSW 210°). During an evening walk along the beach, although it wasn’t raining, with a relative humidity of 99, it was a little soggy walking on the beach. This is my last entry for July 2017. 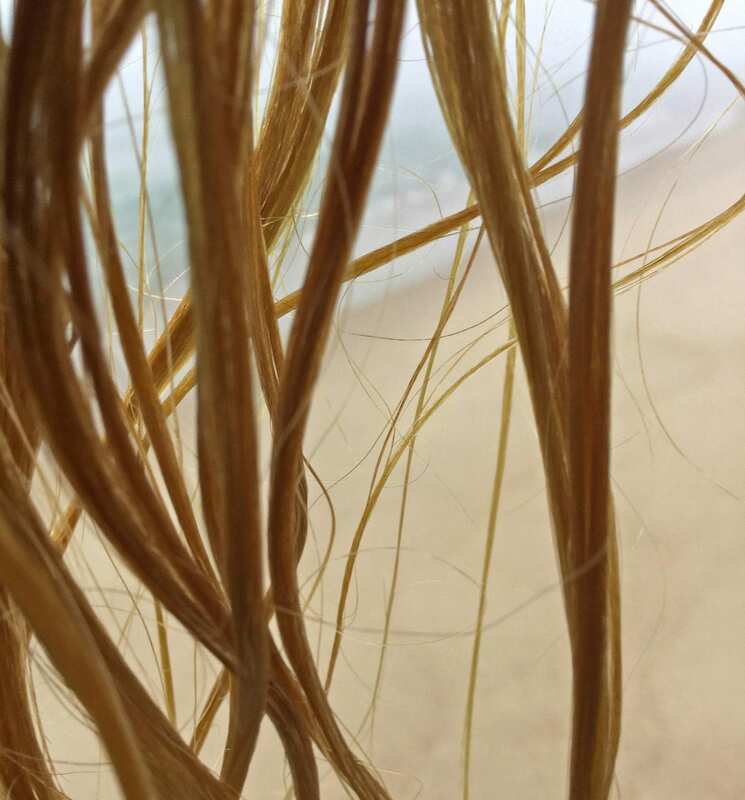 On July 14th, my three-month tour ended, and I left Sable Island. 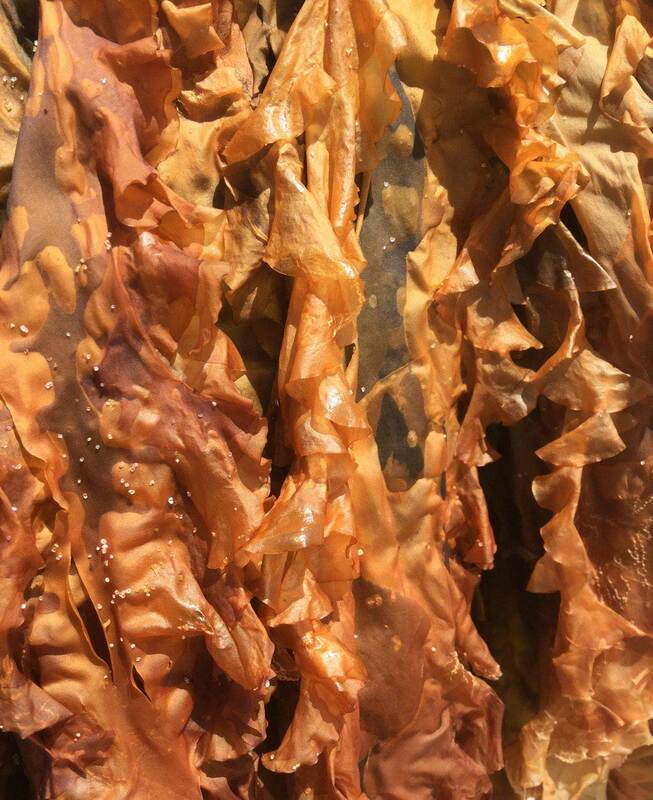 A yet to be identified species of seaweed? Also, see Gina’s PhotoBlogs for October 2017 – January 2018, and April-June 2018, and her contributor’s profile.